Thanks for becoming a team captain! The success of our walk is dependent upon the hard work of all team captains to spread the word and encourage others to get involved. In this section of the website we will provide the help necessary to make the most of the Stride website including the following Quick start guides and Helpful Ideas. Fundraising ideas will be shared from events around the country. To view an album of fundraising photos and ideas shared by team captains, please click here: Fundraising Ideas! Click to check out 5 Tips for Creating a Terrific Team Page. Click this link Team Captain Tips for Social Media for more great ideas! Click here to check out our Team Captain Tips for Using Instagram! 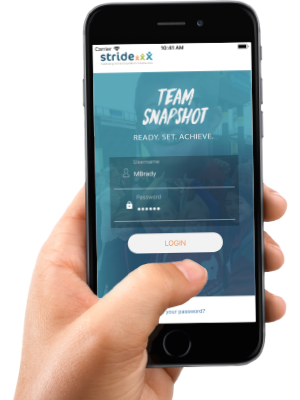 Have you heard about the Stride Team Snapshot App? The FREE app for team captains allows you to easily check fundraisi ng progress and team donations from your mobile device! You can also see your team ranking and stay up to date with event reminders and notifications. Make this your best fundraising year yet!